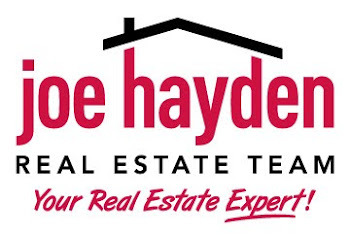 5245 Craigs Creek Dr., Louisville, KY 40241 | Louisville Real Estate with the Joe Hayden Real Estate Team - Your Real Estate Experts! 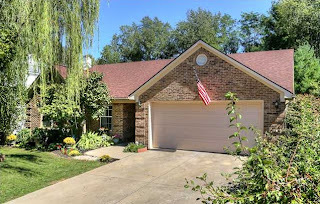 Consider the spacious open floor plan and great location of 5245 Craigs Creek Drive in Louisville in the Craigs Creek Subdivision! In the very near future, a major road widening project on Highway 22 will be completed and this wonderful home will have incredible access to the Gene Snyder Freeway, I-71, plus the Summit and Springhurst shopping areas. This 3 bedroom, 2 full bath all brick home benefits from a new roof and air conditioner, both installed in 2011. 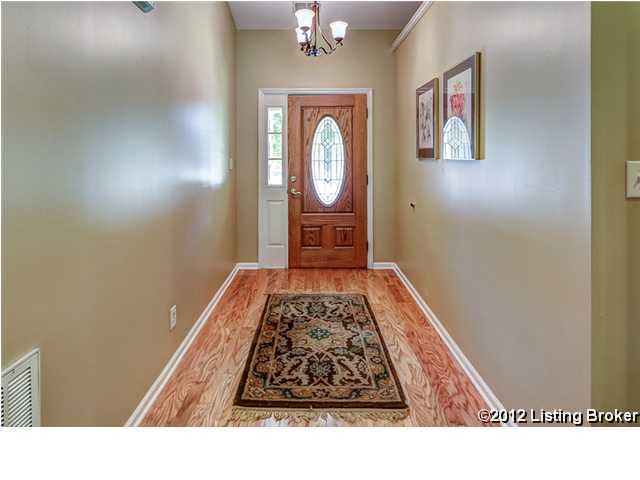 Featuring upgraded floating hardwood flooring throughout the home (no carpet in this home at all! ), you will enjoy the light-filled great room, eat-in kitchen and formal dining area, all designed for maximum space and functionality. 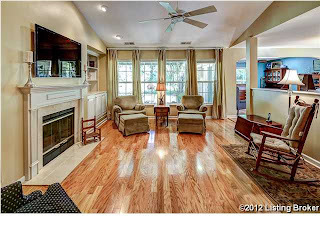 The great room showcases a fireplace with built-in shelving, plus the room is pre-wired for surround sound. 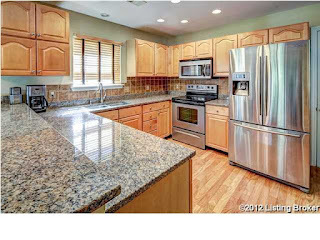 The kitchen features granite countertops, plenty of cabinet space, plus a breakfast bar for lazy mornings or entertaining guests. All appliances shall remain with the home. 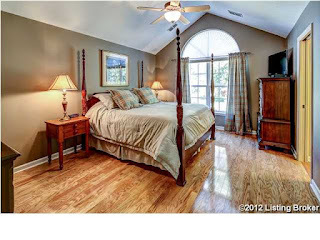 Both the master bedroom and the second bedroom have tall, vaulted ceilings that help to make the rooms feel spacious, and the master bathroom features a granite-topped vanity along with a giant tiled walk-in shower. 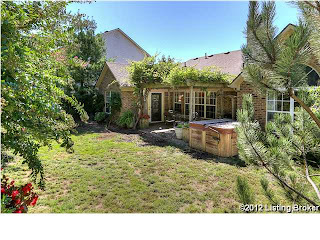 The rear yard is private and lined with trees along the back, while the patio is covered by a tasteful arbor that provides cooling shade. There is also a hot tub next to the rear patio that can remain with the home. Take a moment to check out the pictures for this special home and then schedule a showing to visit 5245 Craigs Creek Drive in Louisville today!